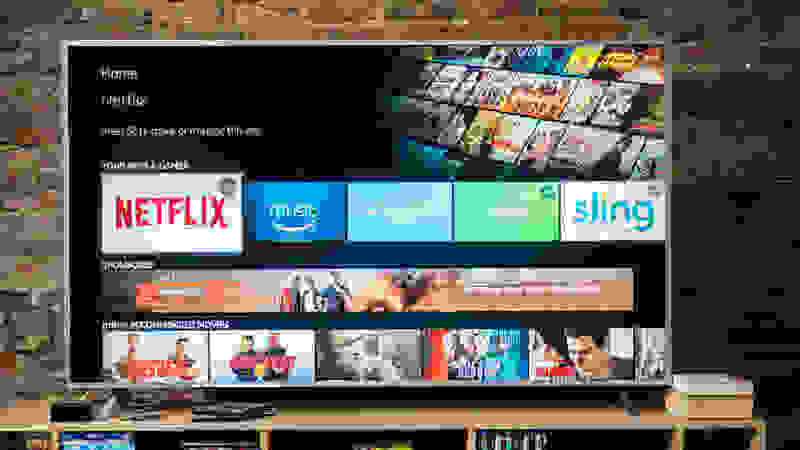 Even if your TV comes with smart apps included, a streaming box, such as a Sling TV, Amazon Fire Stick 4k or Roku Premiere, is a crucial addition for anyone who regularly watches services like Netflix, Hulu, and HBO Now. And after spending hundreds of hours over the past two years testing every streaming device we can get our hands on, we’re confident the 2017 Roku Ultra is the best for most people. 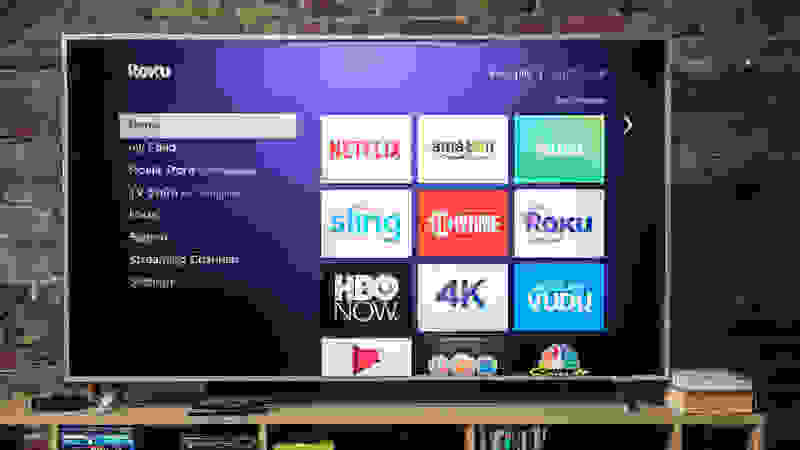 At just $99, the new Roku Ultra supports just about every TV setup you can ask for, and truly shines with any new TV that offers 4K and High Dynamic Range (HDR). 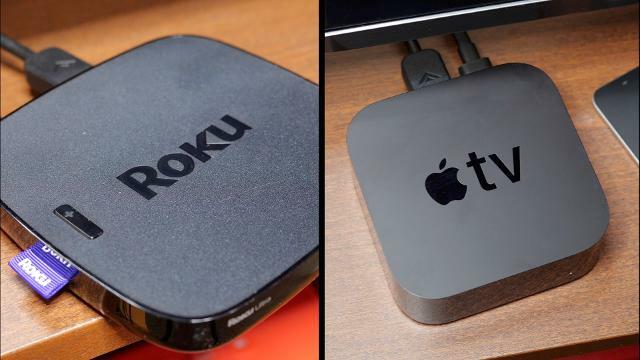 Though some people may want to opt for an Apple TV 4K or Amazon Fire for certain features (which we’ll go into below), for most people the Roku Ultra is the best option. While those on a tighter budget should check out the $70 Roku Streaming Stick+, for most people, the Roku Ultra is the only streaming device you’ll need—now, and for years to come. The Roku Ultra offers everything we want in a streaming box for just $100. Roku updated its entire lineup of streaming devices late in 2017, and the Ultra is the top-of-the-line model. The 2017 Roku Ultra replaces last year’s model and costs less ($99) but otherwise offers a similar feature set. 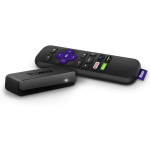 It supports 4K content and HDR at up to 60 frames per second, comes with Roku’s most advanced remote, and a button on the box will force your remote to make a noise so you can find it in the cushions. The remote is still the easiest to use of all the major players, and it now features power/volume buttons that work with your TV. The remote is perfectly sized, can be operated via voice control, has buttons to quickly access popular services, and even includes a headphone jack so you can plug in headphones and listen to what you’re streaming wirelessly—perfect for late-night binge sessions. 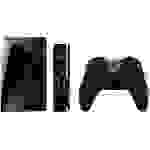 On the negative side, the biggest loss this year is the lack of an optical audio port. That’ll be a big annoyance to some with high-end audio systems. Most people won’t notice, and the old Ultra is still available if you need it. Roku is almost entirely platform agnostic, putting your favorite services front-and-center, with few ads and minimal clutter. Across the board, the Ultra delivers the best streaming experience for most people. It excelled in all of our tests, it took less than 20 minutes to set up, and it offered almost everything we want in a streaming box—with no major streaming services missing. The Roku interface (pictured above) is also among the best around, with an uncluttered menu that is mostly ad-free. For advanced users, the main downside to the Roku Ultra is that it doesn’t offer Dolby Vision (look to the Apple TV 4K for that) but it does offer Dolby Atmos surround sound if your setup supports it. The Roku Streaming Stick+ is an affordable way to get 4K and HDR streaming to any TV in range of Wi-Fi. 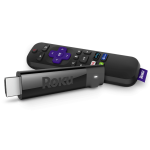 Though streaming sticks have typically been lower-end offerings compared to the full-size streaming boxes, the new Roku Streaming Stick+ is the exception. It offers full 4K and HDR (HDR10, not Dolby Vision) in a stick form factor, and in our tests it was nearly as fast as the full-size Roku Ultra. Though it only works over Wi-Fi, the Stick+ did just fine streaming 4K and HDR content, comparing well to the Amazon Fire TV, Apple TV 4K, and the Roku Ultra. The antenna is built into the USB power cable (don’t lose it! 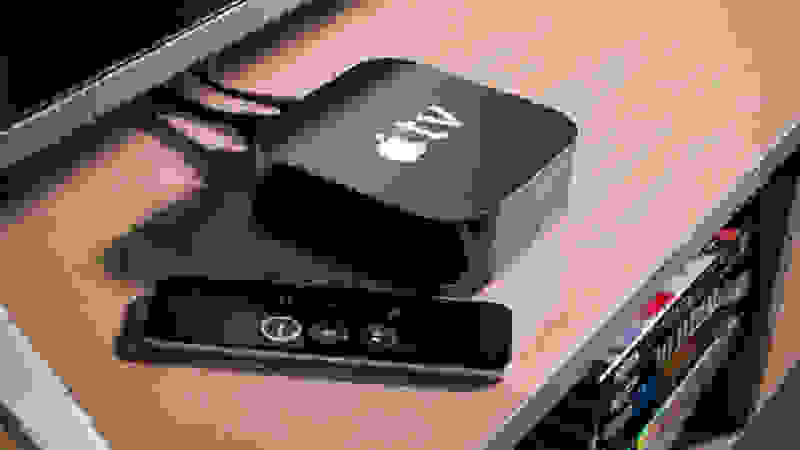 ), a design Roku claims offers improved reception. The Streaming Stick+ ships with a remote that is nearly identical to the Ultra’s as well, offering voice search, and full control over your TV’s power and volume. The remote doesn’t have a headphone jack, though you can still listen wirelessly with any Roku via your phone and the Roku app. Picking between the Streaming Stick+ and the Amazon Fire TV (both $70) comes down to personal preference. We think most people will get more out of the Roku due to the superior remote, which offers more value than the Fire TV, even with Alexa. The Apple TV 4K is the best high-end streaming box, but it's only worth the money if you need Dolby Vision HDR. Apple finally released a 4K- and HDR-ready version of the Apple TV this year, and unsurprisingly, it’s a high-end device—with a high-end price. The Apple TV 4K supports HDR10 and Dolby Vision HDR, has access to most popular streaming services, and includes the new “TV” app that syncs (almost) all the TVs, shows, and movies you’re watching across your other iOS devices. As you’d expect, the Apple TV 4K is fast, relatively easy to use, and has a good-looking user interface. The new TV app works well as a one-stop-shop for all your streaming needs, but it doesn’t pull in content from Netflix. It does pull in Amazon Prime shows and movie, which were recently added to Apple TV after a puzzlingly long wait. Making up the gap somewhat is iTunes, which has gotten a full 4K/HDR makeover. 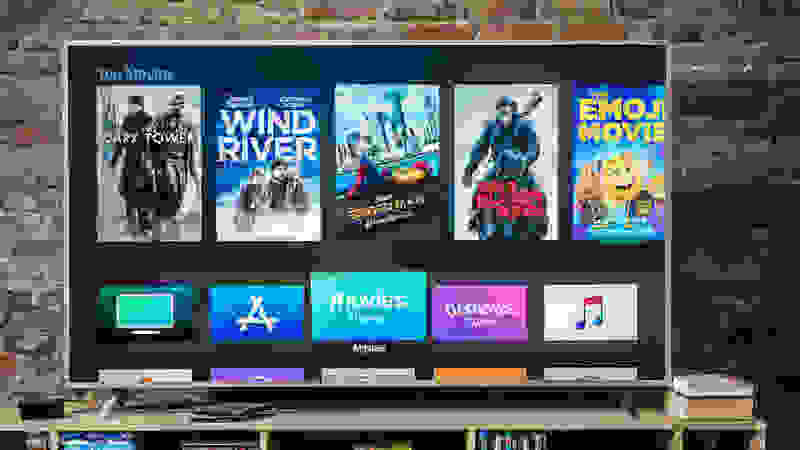 Most of your existing iTunes purchases are now available in 4K and HDR for no extra charge, and the prices for buying/renting 4K movies on iTunes is also among the cheapest in the industry—likely driving the price down for the whole market. The Apple TV's interface is uncluttered, much like Roku, but Apple still gives its own apps and services top billing—though the #1 spot goes to the new TV app. There are some hiccups, though. The remote isn’t as full-featured as the one on the Roku, the lack of Amazon Video is annoying, and the Apple TV 4K doesn’t support Dolby Atmos (Apple again says this is on the way). These will get taken care of in time, but for now the high price is only worth it if you’re heavily invested in Apple or you own a Dolby Vision TV (like top-end TVs from LG and Vizio) and don’t want to mess with the more complicated Google Chromecast Ultra. If you don’t need the higher-end features of the Apple TV 4K and want something with a lower profile than the Roku Ultra, the Amazon Fire TV is a great pick. Also updated in late 2017, the new model is smaller, faster, cheaper, and offers full support for 4K and HDR content. If you’re updating from an existing Fire TV, there are some changes to be aware of. The most positive is the addition of HDR. It’s only HDR10 and not Dolby Vision—weird, since Amazon Video offers Dolby Vision movies—but it’s better than nothing. The box itself is smaller, and it now hangs off the back of your TV out of sight. The biggest loss there is it no longer has an optical audio or an ethernet port. Amazon offers a $15 adapter that lets you add an Ethernet port. You can’t add wired internet to the Fire TV’s closest competition, the Roku Streaming Stick+ (also $70), but taking away a useful port and charging $15 to add it back feels absurd—especially given how tricky streaming 4K/HDR content can be. The Fire TV’s biggest advantage is its inclusion of the Alexa voice assistant for voice searching. Roku, Amazon, and Apple all offer this—with Roku arguably doing the best job at finding content via your voice—but Alexa can do so, so much more like set reminders, control smart gadgets, or re-order you popcorn. You can even use a nearby Echo to control your Fire TV hands-free, though this was very hit-or-miss in my home. The Amazon Fire TV interface is a bit busier, with more promos for Amazon Prime and its content partners, or movie rentals if you don't have Amazon Prime. In terms of the interface, the Fire TV is frequently knocked for putting Prime content front-and-center. Though it does that if you're a prime subscriber, Amazon has found a good balance. The hero images at the top are frequently dedicated to Amazon Prime, but your most recent apps are the first thing you can access. If you don't have Prime the interface is similar, though you're still shown popular Prime shows and movie rentals. Overall, the Fire TV is a fine alternative to the Roku, especially if you like the form factor but want to add Ethernet, or if your home is all-in on Alexa. 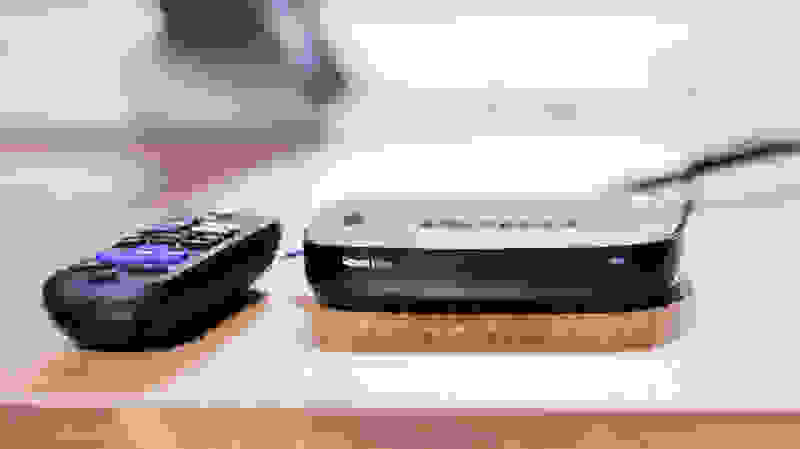 Otherwise, we'd generally recommend stepping up to either of the top-end Roku models. The Roku Streaming Stick (the one without the + in the name) is a great, low-cost alternative streaming solution to anyone who wants a traditional remote but doesn't need 4K or HDR. The Stick doesn't have 4K, doesn't offer HDR, and the remote doesn't have a headphone jack for wireless listening. But it costs less than $50 and does have the updated IR-capable remote that can control your TV. That's still a big leg up over other affordable streaming options like the Fire TV Stick, the older Roku Streaming Stick, the Google Chromecast, and the Roku Express and Express+. If you're on a tight budget or you're buying this for a non-4K TV that you're not planning on replacing in the next five years, then it's a good alternative. 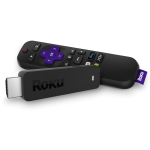 For everyone else, we highly recommend spending a bit more to get the superior Roku Streaming Stick+. The Amazon Fire TV Stick is a cut-down version of the full-size Fire TV that costs about $30 cheaper. There are two main differences between the Stick and the Fire TV: 4K/HDR support and speed. The Stick is lacking in both departments, though it still has a voice-capable remote and support for Amazon's Alexa. 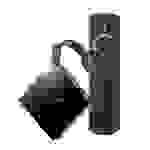 Though searching for content using your voice isn't as unique as it once was—Roku and Apple TV both offer this—Alexa still does a great job. Alexa on the Fire TV Stick isn't as responsive as it is on a full-size Amazon Echo or even the Echo Dot, in my experience, but it's capable of so much more than the competition, with new Alexa-compatible gadgets launching every day. It's hard to argue with the price, though we think most people buying this for their main TV would be better off with either the Fire TV or the Roku Streaming Stick+. Both are future-proofed, support 4K and HDR, and they're much faster, loading and swapping between apps with ease. The Fire TV Stick isn't bad, but spending the extra money is worth it. Of all the streaming devices we've tested, the tiny Chromecast is still the best choice for tech-savvy users on a budget. 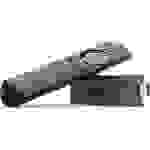 The non-traditional streaming dongle simply plugs into your TV or monitor's HDMI port, connects to your Wi-Fi network, and uses your smartphone, tablet, or computer as a controller/remote. 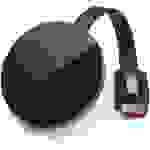 From there, you can "cast" content to the Chromecast from most major streaming apps and the Google Chrome browser. Just press the Google Cast icon inside those apps, and your Chromecast will fetch that content and start playing it on your TV. It doesn't have a traditional remote or its own interface, but at $35 it significantly undercuts the competition. If you're not afraid of a slight learning curve, you'll find the Chromecast is perhaps even more content-rich than the competition. As a screen-mirroring device, its only limits are your imagination—though if you want 4K streaming, the higher-end Chromecast Ultra handles that. The Chromecast Ultra presents somewhat of a conundrum. It retails for right around $70 and offers 4K and HDR streaming with support for all the major apps and standards, including both HDR10 and Dolby Vision. 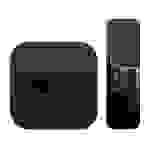 The only other device that offers that is the Apple TV 4K, which costs over $100 more. 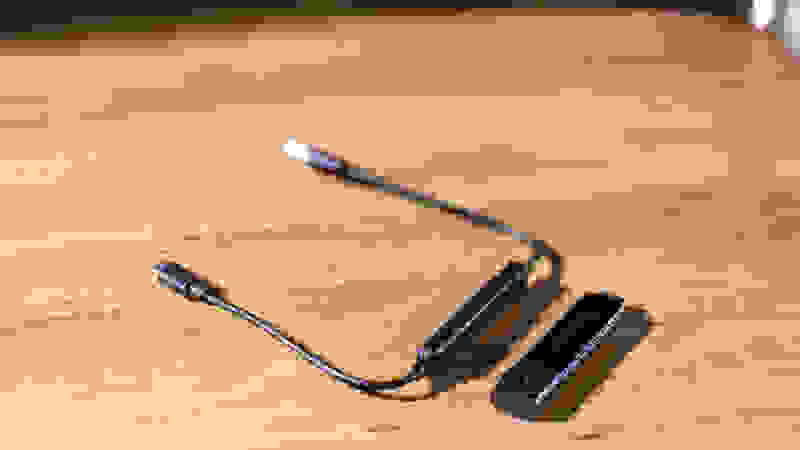 But the Chromecast Ultra, like the smaller, cheaper Chromecast, is still a barebones solution that mostly acts as a way to get content from your phone or tablet to your TV. There's no remote, no built-in apps, and no real user interface at all. Though you're not streaming content directly from your phone (when you cast content you're mostly just telling the Chromecast to go play something), you still need another device around to make it work. For people used to kicking their feet up and flipping through apps and channels with a remote, it takes some getting used to. Any moderately tech-savvy family will be able to adapt easily, but for most people something more traditional is simply going to be easier to integrate into your living room. If you just need a barebones streaming option that can handle 1080p HD video, has a remote, and doesn't cost much, the $30 Roku Express is the way to go. You get what you pay for, though; despite Roku updating it with a faster processo, it's still a tad sluggish compared to higher-end streaming boxes, it doesn't support wired internet (and lacks support for the faster 802.11ac Wi-Fi standard), and the remote is a little chintzy compared to the nicer Roku remotes on the higher-end models. Like the Streaming Sticks, the Express also comes in two flavors. 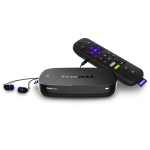 The Roku Express is the basic $30 model, but you can also get the Roku Express+ for $10 more and get an additional analog A/V port. This means you can hook it up to older TVs that don't have HDMI ports, letting you add a smart streaming solution to almost any TV from the last few decades. For most people on a tight budget we'd still recommend moving up to the Roku Streaming Stick or the Amazon Fire TV Stick with Alexa, but if you need an analog hookup the Express+ is the only way to get it right now. The Shield has seen some updates recently, and it comes in two flavors: standard and Pro. Both include a game controller by default (underpinning the Shield's gaming bonafides), but the Pro comes with 500GB of storage included vs 16GB on the standard. You can add extra storage to either model by attaching a hard drive, so this is a minor difference. The two models also feature different remotes. The standard has standard watch batteries you need to replace periodically, while the Pro model has rechargeable batteries that don't last quite as long. 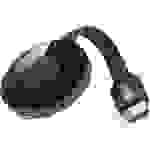 The Pro also features a headphone jack for wireless listening, like the Rokus. The Shield TV is still a very powerful way to add Android to your home theater setup, but for people who primarily just want to stream movies and TV shows, the Roku Ultra is cheaper and mostly better outside of a few select apps and services. And with the Nvidia Shield going for $200-300 depending on which model you get, it's only ideal for early adopters who will push it to its limit.